Computerized Rack Storage - Dubuque Stamping & Manufacturing, Inc.
We utilize computerized rack storage for finished products. This provides fast and easy parts access. 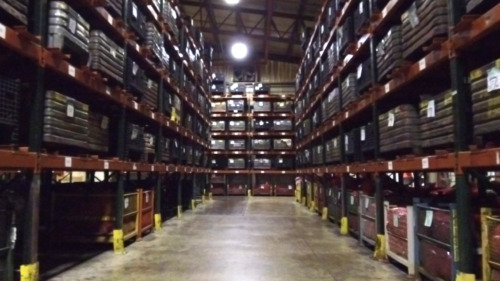 Fast and easy parts access is an onsite service provided by R&S Inventory Solutions. This service helps us reduce lead times, improve order entry, and supply customers with shipment notifications and updates on their projects. Cam pierce dies will provide better hole alignment on U-Shaped parts, either as a secondary operation or added to a progressive die.